Time to tip our hats to Chicago’s Section 8 this week (something new I wanna try to start doing each Monday, a quick highlight of a club’s supporters group). They brought the noise and the quality tifo in their home opener this past weekend. I’ve always been impressed with this group in their dedication to the Fire. 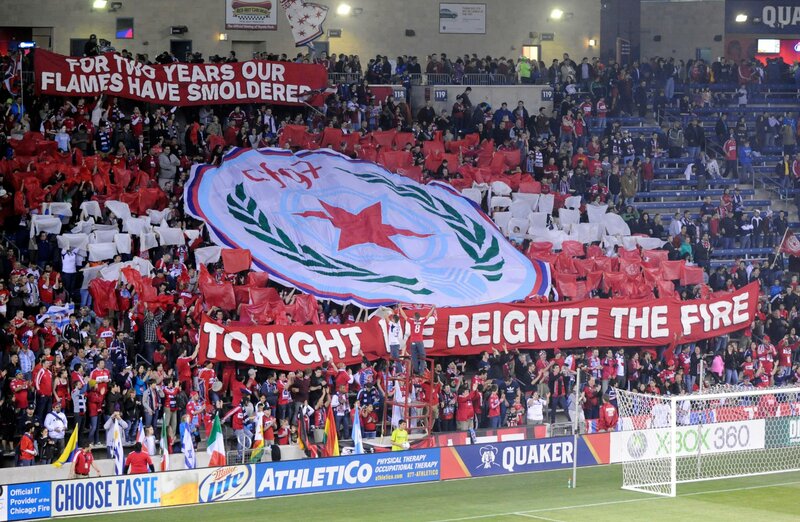 Love the Tifo here that they displayed on Saturday. Quality work.